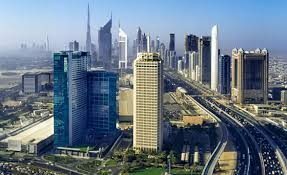 Global future experts in Dubai to attend the two-day Annual Meeting of the Global Future Councils paid a visit to the Dubai Future Foundation’s headquarters in Jumeirah Emirates Towers Offices. The Foundation presented a number of its initiatives to the visiting delegation. This included items on display at the Dubai Museum of the Future that have to do with the future of robotics and artificial intelligence – both major themes of the Fourth Industrial Revolution. Visitors were also shown a mock-up of the Museum’s planned design, which includes innovation labs and a permanent exhibition for the inventions of the future. The Museum, which will be built in proximity to Emirates Towers, will provide a stimulating environment where ideas could be tested, prototyped, financed, and marketed. The Museum will be open for innovators around the region to enroll in advanced workshops, providing a platform to anticipate future trends in light of the Fourth Industrial Revolution. The delegation was taken on a tour of the Foundation’s offices – the world’s first 3D-printed office – which reflects Dubai’s commitment to its 3D Printing Strategy that aims to have 35 per cent of the emirate’s buildings 3D-printed by 2030. Furthermore, the visit included a tour of the Dubai Future Accelerators (DFA) program’s headquarters and an overview of the program’s innovative projects. DFA is an intensive 12-week program that pairs top companies and cutting-edge entrepreneurs with powerful partners in Dubai to create breakthrough solutions together. It explores and develops the technologies of the future and employs them to resolve problems and challenges facing the cities of the 21st century. The visiting experts lauded the Foundation’s forward-thinking initiatives, which, by virtue of their compatibility with the principles of the Fourth Industrial Revolution, strive to implement futuristic concepts in the strategic sectors that affect people’s lives. 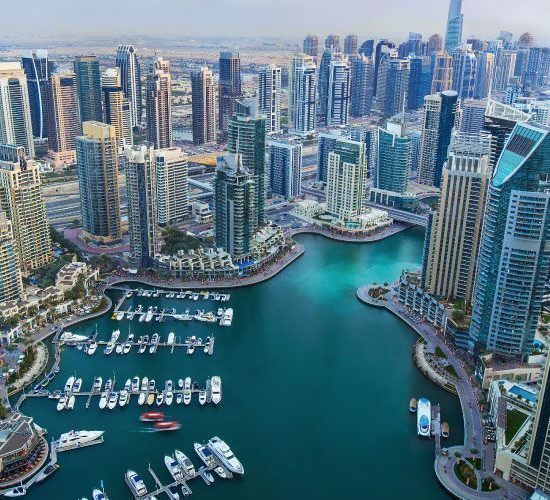 These initiatives reflect Dubai and the UAE’s commitment to becoming the global capital of planning for the future. The Annual Meeting of the Global Future Councils – a two-day event and a global task force seeking to explore the future of strategic sectors – brings together 700 high-profile decision makers and influential business leaders, grouped into 35 councils, to proactively propose solutions for the most pressing future challenges. The event discussed the Fourth Industrial Revolution, formulating solutions for the obstacles and challenges that face it, and exploring its future prospects in sectors including energy, transportation and infrastructure, and artificial intelligence, among others.